In our previous blog, we explained altmetrics providing insight for a journal’s impact through various factors including citations, number of views, social media engagement, and recommendations. Along with understanding insights, it is also vital to evaluate the practical uses of altmetrics. Altmetrics have been considered immensely beneficial for encouraging funding for specific research projects. By providing insights on the discussions and interest regarding specific projects, funders are able to understand the exact outreach of their potential project. The authors of the PLoS Biology paper have stated, “Altmetrics offer research funders greater intelligence regarding the use and reuse of research, both among traditional academic audiences and stakeholders outside of academia”, ground with an example. 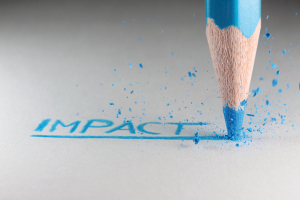 Altmetrics have been immensely effective in evaluating impact in a variety of ways. By providing insight on which specific work is getting citations, researchers are able to understand how their journals are creating an impact in their field. Sources such as Web of Science, ImpactStory, and CitedIn are effective sources for receiving insights on citations. While altmetrics provide insight on social media outreach, it is very important to put the analysis in context. From a variety of social media platforms as well as diversifying audience preferences, social media analysis is essential in determining how the discussions translate into impact for specific work. After all, even researchers’ new framework for altmetrics agrees that simply talking about Facebook likes or Twitter followers is not as effective as linking these metrics into the context of impact. Overall, altmetrics seem to have many benefits for the scholarly publishing industry. From helping funders understand potential in specific work to understanding the impact of one’s research, altmetrics do have the potential to benefit academia in various ways. We look forward to seeing the role altmetrics play in helping players in academia understand what their audiences want.